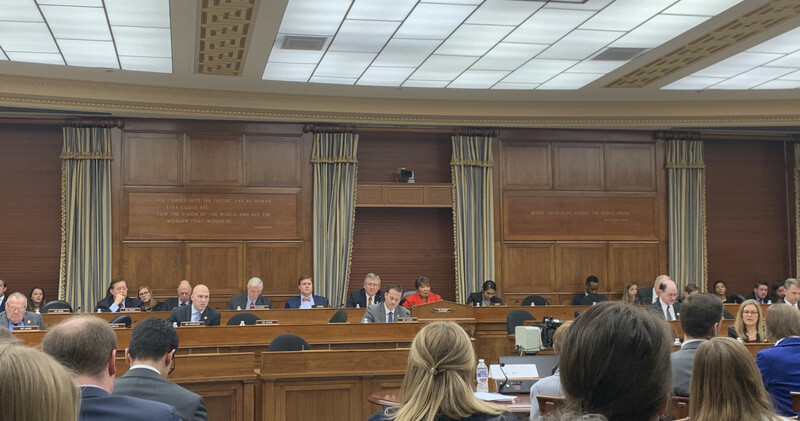 Kopp’s testimony matched that of the other academics and think tank experts, each of whom seemed to address their answers to GOP lawmakers who have expressed doubts or denial about climate science. “We support a mainstream version of climate science — nothing to be afraid of,” said Joseph Majkut, the director of climate policy for the Niskanen Center, a Washington-based think tank focused on market-based solutions. In some cases, the experts made more pointed arguments. The panel, convened primarily by the Democrats on the committee, underscored the priority the party has placed on making this issue front and center. “Though this administration has regrettably chosen to ignore the findings of its own scientists in regards to climate change, we as lawmakers have a responsibility to protect the public’s interest,” said the committee chairwoman, Rep. Eddie Bernice Johnson, D-Texas. GOP lawmakers, including Senate Majority Leader Mitch McConnell, R-Ky., have panned the plan, which would require generating 100% of the nation’s power from renewable sources within 10 years. At least one Republican on the committee, however, was receptive to the panelists’ points of view. “As a farmer and an animal scientist I understand the importance of leaving the land healthier than you found it,” said Rep. Jim Baird, R-Ind., a freshman congressman with a doctorate in animal science.